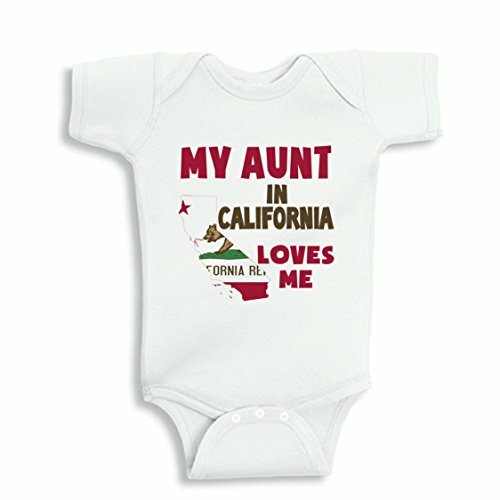 Our unique My Aunt in California Loves baby Boy bodysuit is a super cute Aunt garment with original and funny Aunt saying... Our baby soft cotton bodysuits offer just the right combination of humor and cuteness that gift givers and parents are looking for, these original and unique designs offer lots of laughs for everyone. 4.5 oz. 100% combed ringspun cotton (Heather is 93/7) jersey. High Quality and Soft, breathable cotton keeps baby comfy, and retains shape wash after wash.
NanyCrafts is a Family own business, we create with love! Click the NanyCrafts link above Now. Find your perfect family t-shirt design. Designed and Printed in USA by NanyCrafts using professional Direct to Garment tecnology with water base ink. If you have any questions about this product by NanyCrafts, contact us by completing and submitting the form below. If you are looking for a specif part number, please include it with your message.